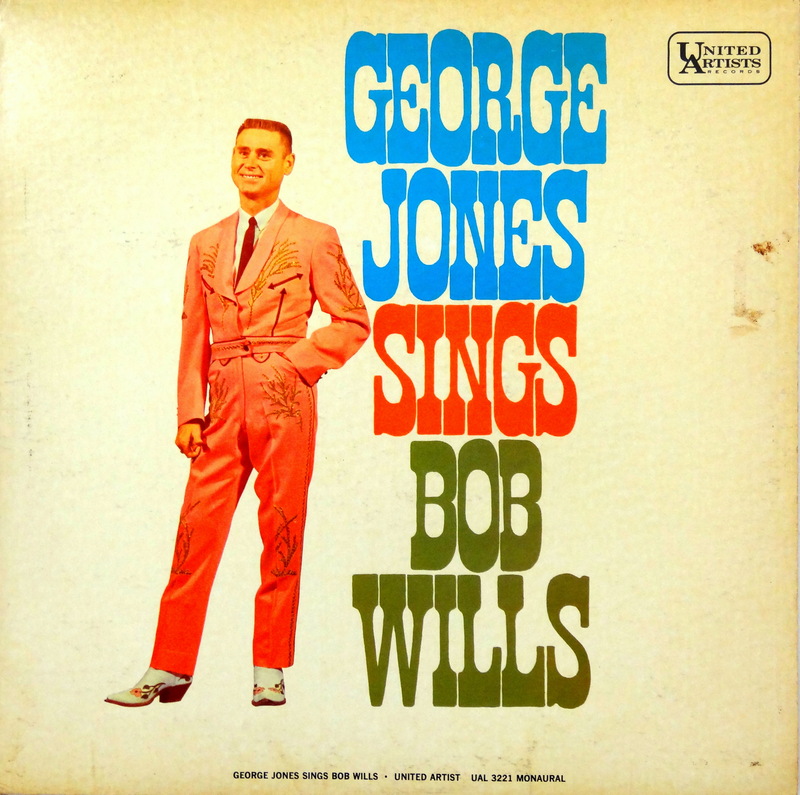 If you want country the way nature intended it, you can’t do much better than 1962’s George Jones Sings Bob Wills. That is, unless you skip the intermediary George Jones step and pick up some Bob Wills & the Texas Playboys. I’d argue that point with you, though. Sure, Wills (and Hank and and and…) got there first, but Jones and his counterparts up through the early to mid-seventies took their predecessors’ blueprints and made them into something new. I think I just argued that George Jones just did for Bob Wills what Led Zeppelin did for Muddy Waters and Willie Dixon. Let the internet trouncing begin. Now, about that cover: A flat top and a Nudie suit with an Eisenhower jacket. Bad Album Cover Hall of Fame worthy? I’m listening. I’m pretty sure that it’s a jumpsuit with a flat top. I also contend that while now it looks horrifically antiquated, then it was as common as long hair with one side shaved (damn I’ve been hoisted by my own petard). Sounds like one vote to keep George Sings Bob out of the Bad Album Cover Hall of Fame. Who else is going to weigh in? That song is killer. I always say I dislike country music…but I don’t mean this kind. Now, the outfit is pretty bad. I know he has been quite a troublemaker, but that smile is very sweet. My vote is hanging here….I am going with…seize him! BACHoF! We’re split on whether George Sings Bob is Bad Album Cover Hall of Fame worthy. Who’s going to be my tie breaker? Well, since I am late to this one, and George has now left us, would he feel honored to be in the BACHOF? George’s get-up, with the matching embroidery on the boots, pants, and jacket, scream to be included. I think he would have agreed before he went off to play for his new audience. I think it’s decided — George Sings Bob goes to the BACHOF.